Vacuum lifters contribute to efficient and safe handling of goods in all types of industries. 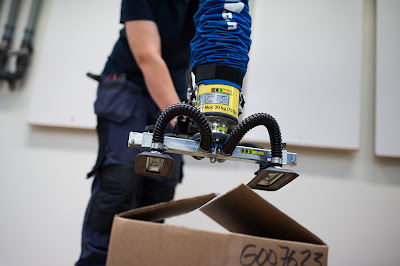 Whenever manual handling of goods is needed, a vacuum lifter can minimize the physical strain and increase efficiency. 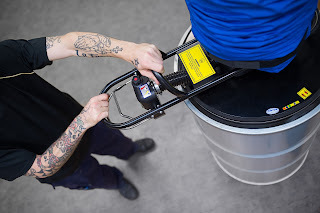 Vacuum lifters are easy to use and make lifting so easy that anyone can do it. When anyone can handle the heavy lifting, the workforce becomes more flexible unnecessary downtime is avoided. TAWI vacuum lifters handle all types of goods, including boxes, bags, drums, sheets and more. 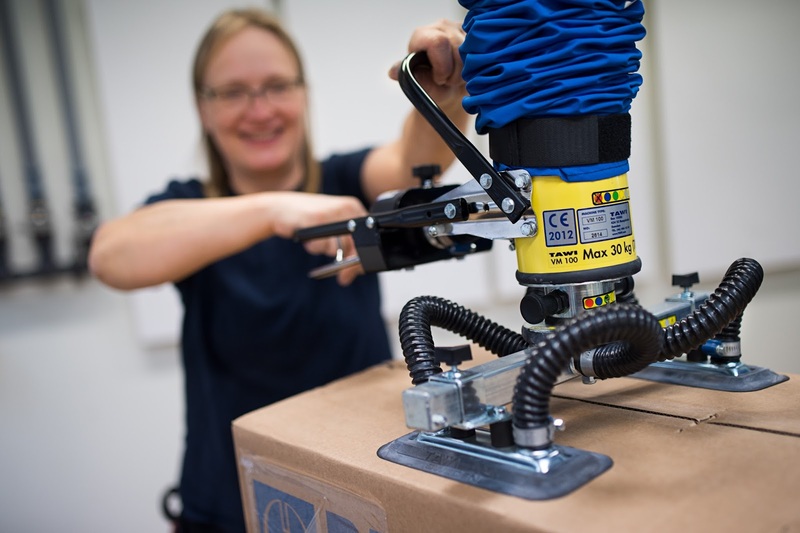 Our most flexible model, TAWI VacuEasylift, can handle goods up to 270 kg. It can lift boxes of all sizes, regardless if they are sealed or open. Paper sacks, plastic bags, or even jute sacks are lifted with ease. Drums and other containers are lifted one at the time, or several at the same time. TAWI VacuEasylift is a truly flexible tool that can lift pretty much anything. The load can be picked up from the top or from the side. You can rotate or even tilt the load to place it exactly where you need it. TAWI VacuCobra is an optimal tool for high speed lifting. Pick up boxes or other loads easily with just one hand and put them down where you need them just as easily. This small and speedy vacuum lifter handles goods up to 50 kg. The single-handed control makes lifting easy and efficient. All TAWI vacuum lifters are available in stainless steel, ideal for sensitive environments in e.g. food or chemical industry. Other specific requirements such as ATEX can be accommodated. A wide selection of suction feet allows you to adapt the vacuum lifter to your specific needs. Regardless if you need to lift big boxes, ungainly bags, heavy drums or fragile glass sheets, TAWI vacuum lifters is the solution you need. Contact us today to learn more. TAWI also supplies the crane system you need to install your vacuum lifters. We manufacture and sell a wide selection of overhead crane systems and jib cranes. Learn more about our crane systems.